My Crafting Channel: Daily News!!! Starting today I will post a evening edition each day of what I will be calling the Daily News. Post will include any new giveaways, wins and shout outs for that day. I think I prefer to combine all the daily happening into one post. Hope you all enjoy. Linda from The Paper Boutique is having a Summer Fun Giveaway! Here is what you could win. ScrappyHappyMommy is celebrating her 1 year Blogoversary by having a fabulous giveaway. Here is what you could win. So lets show them both some love!!!! 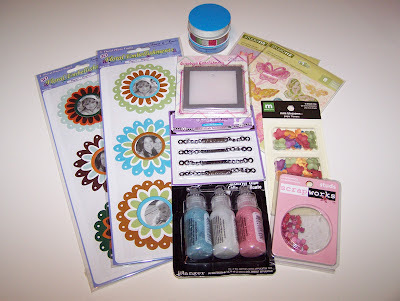 I was lucky enough to win the blog candy on Jenny's blog from Jenny's Scrap Booking Haven for the Garfield and Odie Blog Hop. Here is what I won. Ordered mine today.. Should be here next week. YEA! CHECK OUT EARLIER POST FROM TODAY!!!! thanks for the daily news love it lot of good info. What a cute blog!! Informative too!!! LOL! Thanks for visiting and following me! I love new having new family members to share with inspirations and ideas with! What a great ideal. I love it! I just stopped by to say I got your email and I will be posting your goodies tomorrow. Please let me know when they arrive. It will take a bit longer since they are coming from Canada. Have fun. Look at all that awesomeness!!! Hey! Here is a giveaway link. 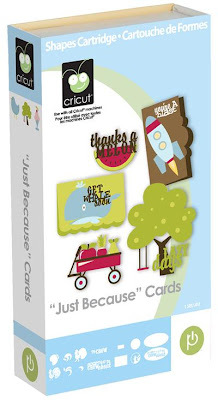 Craft Gossip is giving away a Cricut cartridge and some stamps.